You’re about to meet Nachi, a courageous, selfless and cheeky grandma who loves her grandson Collins fiercely. You’re about to meet Collins, a young boy who’s brave beyond belief. Together, they’ve endured unimaginable grief and hardship. At Hillsong Conference they brought hundreds of people to tears, because as you're about to see, their story changed. Nachi is in her sixties but the years of grief and hard labour are etched permanently into her face, making her appear much older. ‘Here’ is the Solai district in northwest Kenya. For years, Nachi has moved from place to place, desperately seeking work. She’d tried Lodwar in Kenya’s north. Then Nyahuru, 10 hours away. Next was Nakuru in the Rift Valley. Finally they moved to Solai, a vast district green with farmland. “I’ve gone around asking for a place to sleep and keep the few items we own,” says Nachi. “It’s difficult for me because I don’t always find work to do and I’m also an old woman,” she adds. Most of the work in Solai is laborious and intense. Nachi’s paining back and swollen hands and feet can’t support her long enough to earn a decent wage. At night the worry eats at Nachi, stealing her sleep. She fears not for herself but for Collins, her beloved grandson. Compassion staff see the devastation of poverty every day. But they were shocked at what they found when they visited Nachi and Collins’s home. The mud house was almost empty. There was no food and no proper place to sleep. Immediately, Collins was registered into Compassion’s Child Sponsorship Program and began receiving extra support through the Highly Vulnerable Children’s fund. 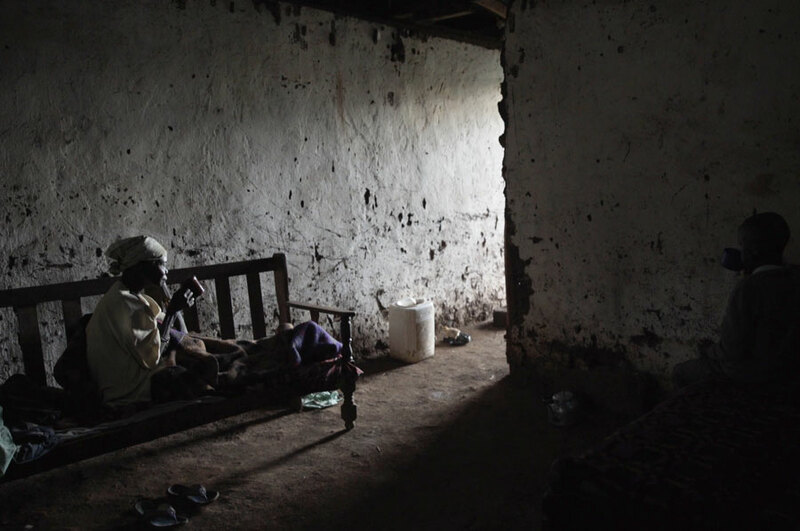 With the addition of food, bedding and clothes, their mud house slowly turned into a home. 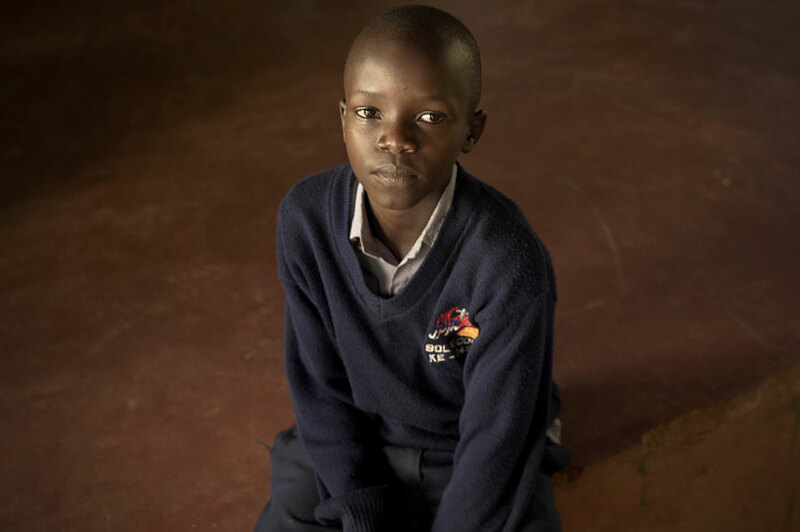 Shy and withdrawn Collins found new confidence after being enrolled in school for the first time in months, his tuition fees, uniform and shoes covered through his sponsorship. But a new devastation was just around the corner. At three in the morning, a crack shocked Nachi and Collins from their sleep. The noise was so loud, so terrifying, that Nachi thought something was trying to attack them. Hearts pounding in the pitch blackness, they realised with relief that they were alone. But what they discovered was no less terrifying: torrential rain had caused their house to collapse. They were homeless once again. “I feel so bad that we are in different houses from day to day,” says Nachi. “If the owner tells us to go then we must go. How will Collins get an education if we are moving all the time? What kind of life is that for him?” Nachi fasted for three days, waking at three in the morning—the time the house collapsed—to pray desperately for a new place to live. God was about to answer her prayers. Mary came to see Collins and Nachi, asking them to come with her. She took them to an area with lush green grass and mist rising in front of distant mountains. Around them, labourers worked the fertile soil. Collins and Nachi had no idea what was about to happen. Nachi places her hand on her beloved boy’s shoulder. At last, she feels at peace. “I used to think a lot about how I will take care of Collins since his mother passed away. But not anymore,” she says. Collins’s story changed the day he joined Compassion’s Child Sponsorship Program. The support he receives means he has a future, a hope and a team to help him fight poverty. An act of love—sponsorship—changed Collins’s life. To change a child in poverty’s story, sponsor a child today.